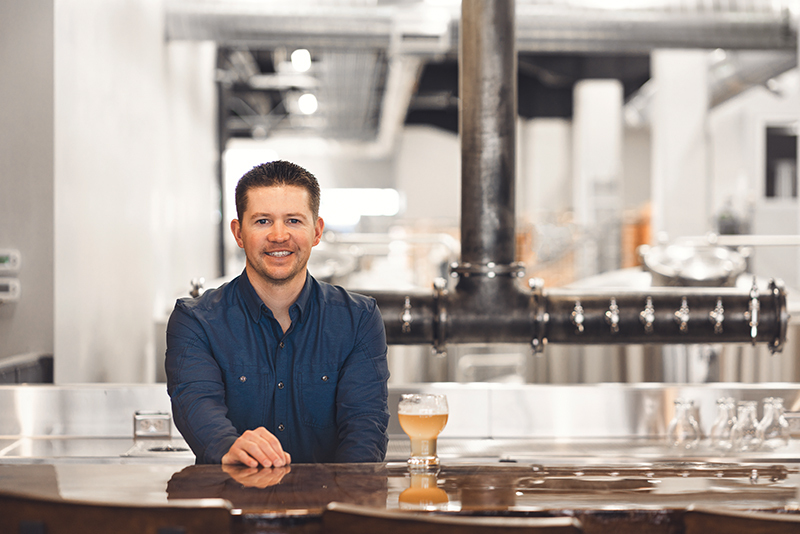 For 2018’s Beer Issue, SLUG interviewed Carson Foss, Brewmaster and owner of UTOG Brewering Co. about his brand-new brewery in the heart of downtown Ogden, as well as his plans to have opened their doors around July of 2018. While their opening date has shifted since then, it didn’t happen without reason. What once was an empty, concrete shell of a building has dramatically changed into Foss’ dream brewery—an out-in-the-open dining experience where customers can see the beer-brewing process while they enjoy the food and fare that UTOG has to offer. 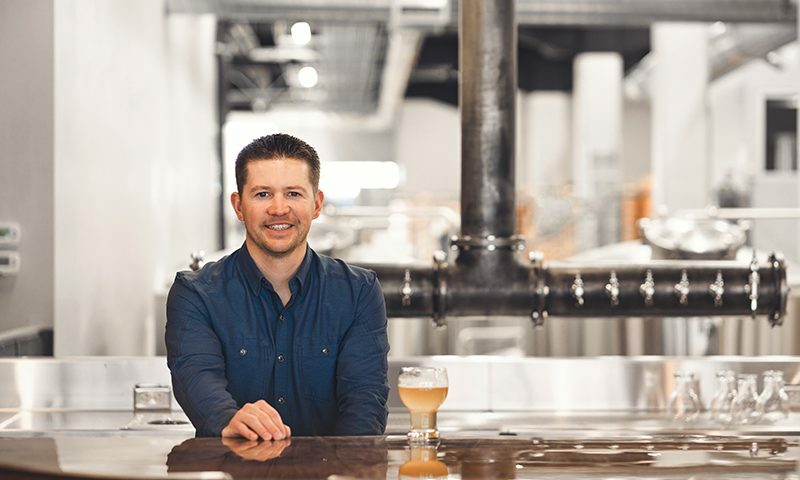 As construction subsides, UTOG is the gem that Foss has spent so long refining, and as he adds his finishing touches, it’s clear that UTOG is a brewery that Ogden needs. Standing tall across the street from the Ogden Raptors baseball field, a short walk away from the Trax station, next to free parking garage and a block from 25th Street, the location couldn’t be more ideal for a space focused on building community. Foss plans on using all of it to make the experience of UTOG unique and personal. “We really wanted to bring the brewery feel that you get from out of state to Ogden,” Foss says. “I don’t think we could have found a better spot, and I think that having all of these things will set us apart. “What makes UTOG unique is that everything is out in the open to create the most personal experience with the brewery as possible. “Everything is in plain sight,” Foss says. From brewing to canning to the food that arrives at your table, everything is a part of the dining experience. Instead of tackling canning and focusing on big plans for distribution, Foss and his team have decided to focus on their first handful of beers and encouraging customers to come into UTOG itself to give them a try, while still selling at some select locations. “Originally, we wanted our beers in as many bars as possible,” Foss says, “but then we decided that we wanted people to come here, see us, meet us and experience the location.” Foss isn’t typically a big fan of sweet, fruity beers. Instead, he has a taste for IPAs, lagers and pilsners. However, for their opening, Foss plans on sticking to lighter, crisp beers that are perfect for the summertime. “I think a nice, classic, clean beer that a new or an experienced craft beer drinker can enjoy—that’s what we’re shooting for,” Foss says. In the future, once some of their taps are full, they will then branch out and have other brews available. UTOG will also have their own beer store, with the entrance located conveniently in their north alleyway, where customers can walk up (or bike up), grab their favorite brews and hit the streets. By having a business model so centered around community, UTOG hopes to create a space where friends and families can grab a beer and a bite to eat comfortably in a welcoming atmosphere. UTOG is set to open in April, making it an ideal destination for any summertime outing. The perfect beer and bite pairing is just a FrontRunner ride away.